A security force personnel was injured in a grenade attack by militants in Pulwama town in Jammu and Kashmir on Saturday, officials said. The militants threw a grenade at security force personnel posted on law and order duty in Pulwama town this afternoon, a police official said. He said a jawan suffered minor injuries due to the grenade blast. The area has been cordoned off and a hunt launched for the militants. 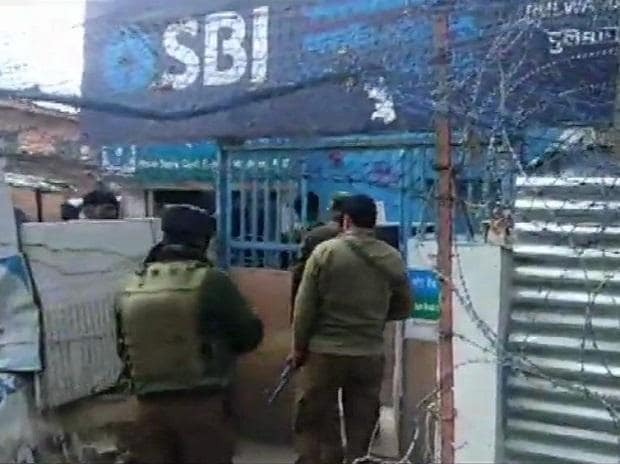 #UPDATE: One Central Reserve Police Force (CRPF) personnel injured after terrorists lobbed grenade at a CRPF bunker near SBI branch in Pulwama, today.